Throughout our lives we will all face many journeys, starting as early as any of us can remember. We journey into the world of toddlerhood- learning a discovering the world around us. We journey into school, adjusting to this all new place with all new rules. As we age we journey into the world of relationships, growing up, gaining independence. As adults the journeys continue-venturing into new careers, marriage and parenthood. God has an amazing plan for your kids' futures, and these 52 devotions will help them map out their journeys. Weekly reading will take kids through a year of getting to know Jesus--their Guide--and learning how to follow Him, trust Him, and stay focused when their trek gets tough. Filled with dynamic full-color illustrations, "Mile-Marker Memory Verses," "On Quest" discussion questions, and "Walk This Way" activities, Devotions Off the Map is sure to have kids excited about getting into Scripture and on the right path--toward Christ. Throughout the last year, we have established quite the kids' devotional collection in our home, and honestly I love them all. They all have something a little bit different to offer, but they all tend to share one common trait- they're short and to the point. They tend to offer a verse, a short reading, and a prayer. Truly, that's a great feature for kids who don't often have the attention span to dive into a full on Bible study each day. It also makes them ideal for a quick reading and prayer before bedtime. But for the kid who is ready to truly dig in deeper into their journey as a Christian? Well, perhaps those short and sweet devotionals just aren't going to cut it! 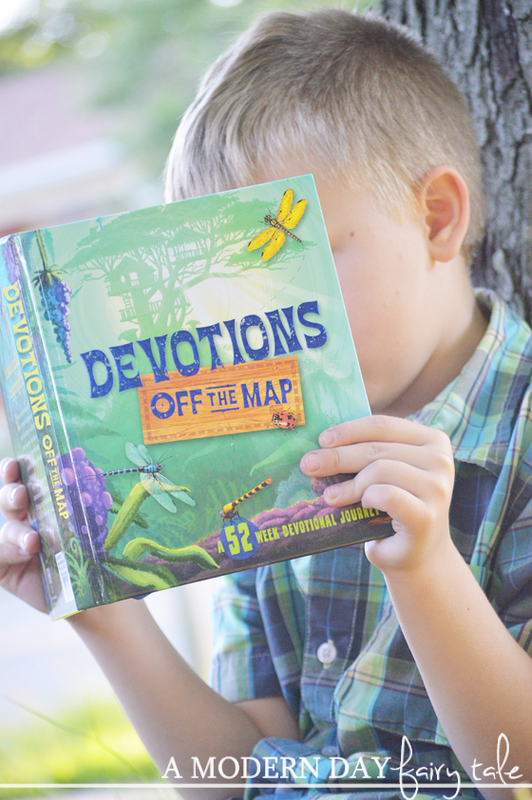 For them, Devotions Off the Map is perfect! The Overlook. This prepares us for what the lesson ahead is all about. You can read them all in order, of course, but if there is a particular lesson your child is struggling with, this can help lead you to just the right reading. This Is The Way. No devotional would be complete without a key Bible verse, and that's just what this section is all about. But it doesn't just offer ONE verse as most children's devotionals do, it also gives us MORE verses to look up and read to further dig into the lesson at hand. 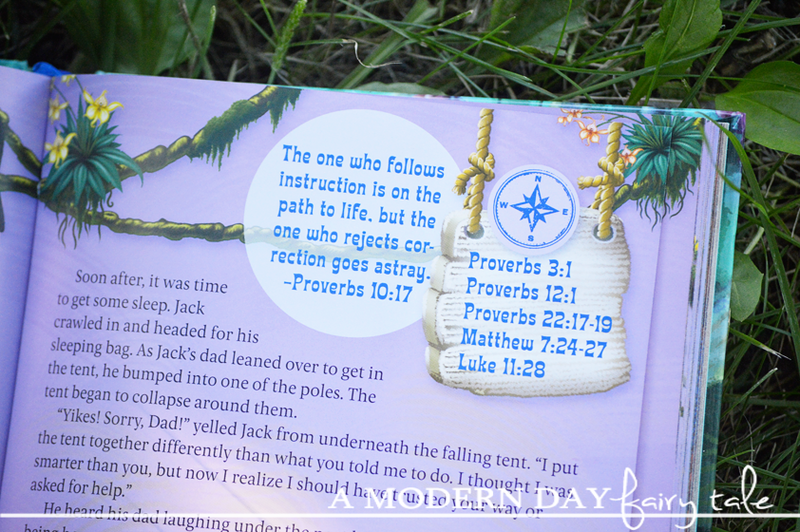 I love this feature that encourages to children to open up their Bibles and see what more it has to offer! Lessons From The Tangled Treehouse. This is the part of the devotional that really brings the lesson home, sharing stories and situations that are easy for kids to relate to and understand. It helps to bring those old Bible verses and lessons into THEIR world, making it relevant to them and their struggles. Shady Grove Prayer. This section provides a simple prayer to go along with the lesson of the day. Field Study. This is the why, how, when and where of it all...questions to encourage discussion about the lessons in that day's devotion. 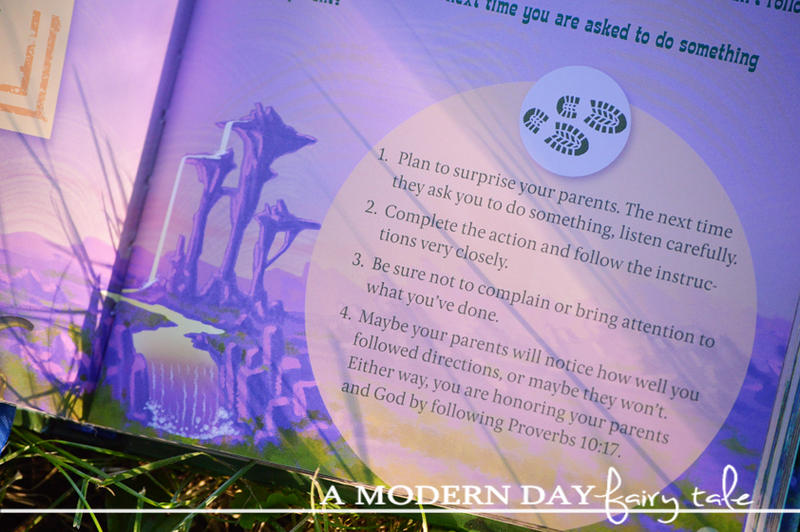 These are perfect for family discussions, and a great starting point for helping you as a parent/grandparent teach your children more about God. These are not quick questions, but truly require your little ones to think hard. For many, this is going to be a great aspect, but admittedly, this section made it a bit tough for my son who- with a diagnosis of autism- has many struggles with the broader open ended questions like 'why'. Still, though he might not be quite ready for all of these questions just yet personally, I know that this is truly going to be eye opening for many kids. Walking To Boulder Bridge. This final section is my absolute favorite. It helps to apply what they have read with various activities, service projects, crafts and more. I love this for two reasons. First of all, when you read a devotion-even as an adult- it can be hard to see how this fits into the real world we live in. It sounds great, but how does this apply to us? 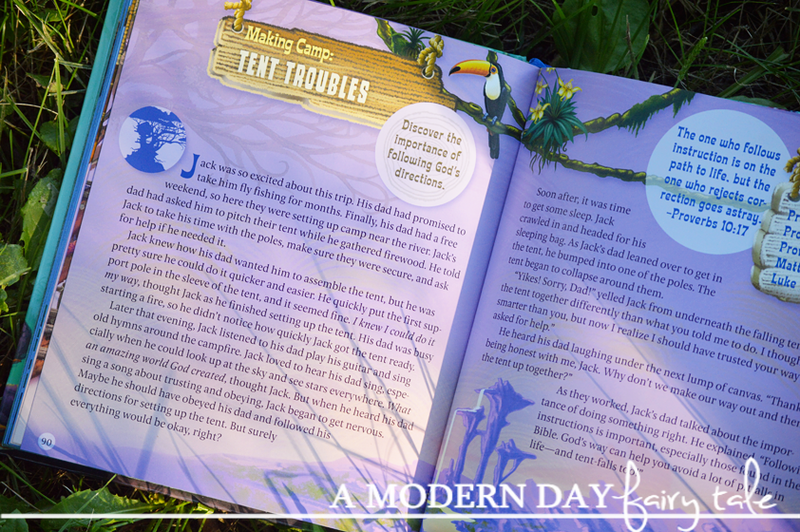 This section truly takes this devotional to the next level encouraging kids to live out what they have learned. The second thing I love is that it's just FUN! It makes this more than just reading, but a fun activity as well. As I said, this devotional is by far the most in depth kids devotional I have seen yet. But not only is it packed full of great lessons, it's also beautifully illustrated! It is like a jungle adventure right there on the pages. My kids loved the vibrant colors and the fun theme...almost as much as I did! 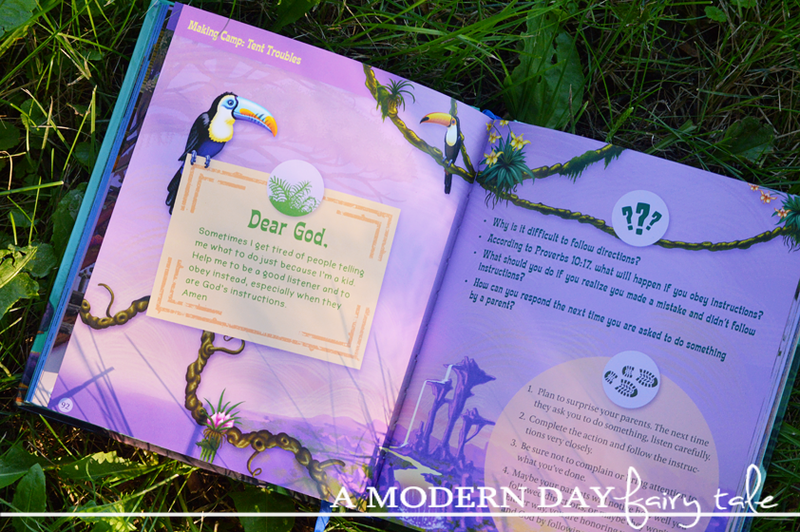 If you have a child who has outgrown the typical kids devotions but isn't quite ready for the more rown up versions, this is ideal! It will take them on a fun adventure that they will love! 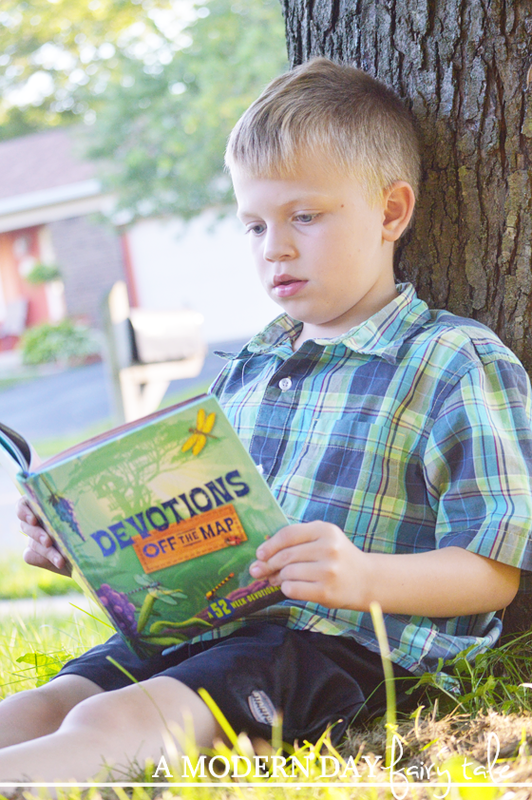 Devotions Off the Map will be available to purchase on August 1 at Family Christian. I like their Veggie Tales selection. The Noah's Ark play set is adorable and would be great to gift with the DVD. I love the Eye on the Sparrow Plaque!! Its gorgeous! I've spotted a few Veggie Tales DVDs we don't yet have. My kids love that series. I love the New Adventure Bible for early readers. It will make the perfect Christmas gift for my granddaughter.